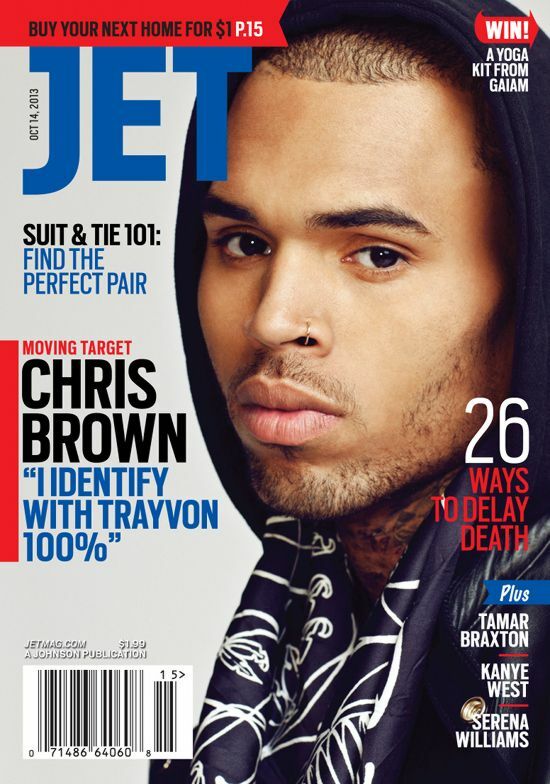 In the October 14th issue of JET magazine, Chris Brown opens up about a variety of topics, including his relationships with Rihanna and Karrueche Tran, why he doesn't understand how Jay-Z gets a pass, the media and how he relates to Trayvon Martin. It's easy to see where the 24-year-old is coming from, but it's just as easy to see his anger & perspective as a typical famous 20-something who doesn't quite get the bigger picture (or his responsibility in it)...yet. Maybe we'll see more growth on his upcoming sixth studio album, X, scheduled for a November 2013 release. "Relationships are the most difficult part. That’s why I was honest with those two girls and I put out that video. My ex and I broke up because of the “situation” and she had moved on. I fell in love with another girl. Then my ex came back, so it was like, 'What is a man to do?' I told them both the truth. I didn’t do the sucker role." Chris also reveals in the issue if he calls himself "single", and whether he prefers just or woman to hold him down...or does he need several? The issue hits newsstands on September 23. PREVIOUS: BABY FAB: Tiki Barber & Traci Johnson EXPECTING Their First Child + Shonda Rhimes ADOPTS Third Daughter!